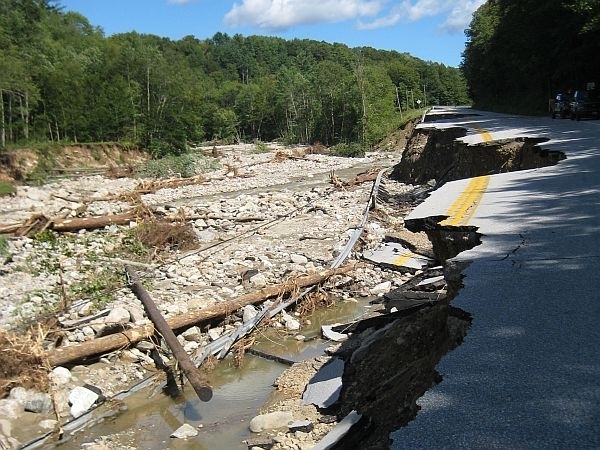 VPR covers Tropical Storm Irene: the floods, the damage, and the rebuilding in Vermont. Visit the VPR News Series Page for photos, news, commentaries, blog, tweets, and resources as VPR News follows this continuing story. Adrian Tans’ driftwood boat, Waterbury’s "After Irene Floodgate Arts Project," and a bike fest in a hard-hit town.